Click the link above to to read my full review of this palette and see photos and a couple of eye looks I created. This is my favorite palette right now. 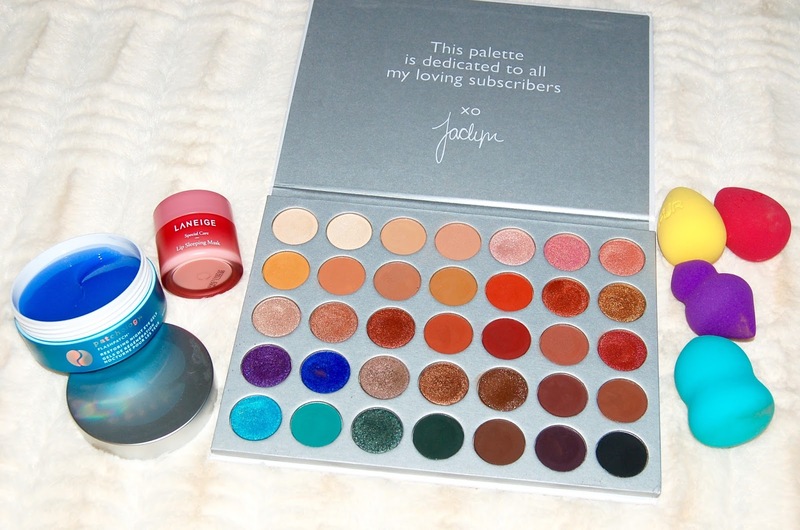 In fact, if all of my other palettes tragically disappeared, I'd be perfectly ok with just this one. I hate the packaging, but the eye shadow quality and the shade selection is truly outstanding! I heard that they are planning to continually bring this palette back in stock as long as there is demand so I highly recommend you try to get your hands on it if you didn't get a chance to snag it up the first couple of rounds of releases. These eye gels have anti-aging retinol and work in 5 minutes. They feel really cooling under the eyes and make me appear more wide awake after I use them. Though I can't say much for the anti-aging benefits, perhaps I need to use them longer. I first learned about this lip balm from YouTuber MrsLolaLynn. This lip balm is the perfect consistency/thickness. What I mean is that it's thicker than a stick lip balm but it's not too goopy or sticky. I absolutely love this product! I apply it at night and my lips feels nice and soft in the morning. You can buy it at Sephora but it's a few dollars cheaper on Amazon (which I've linked above). This is an amazing beauty sponge! Once it's wet, it expands nicely and is really bouncy which makes liquid foundation application a breeze. I think I love this as much as my Beauty Blender and it's only $5! I received a 3-pack of these sponges in a Boxycharm box. 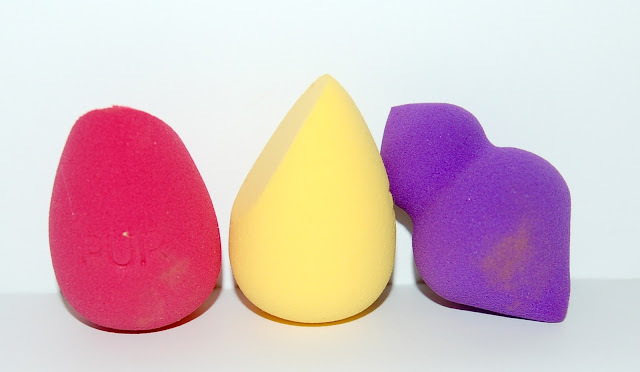 These are terrible beauty sponges. They don't expand very much when wet so they stay small and very stiff. I find that they just tend to move my foundation around. Like the Pur sponges above, this sponge didn't expand much when wet so it was pretty stiff. Also, it seemed to absorb a lot of my liquid foundation and sort of just pushed it around my face upon application. Not to mention, I didn't really understand the point of the weird shape. There was really no benefit to it. Well those were my faves and fails for the month. What were some of your faves? 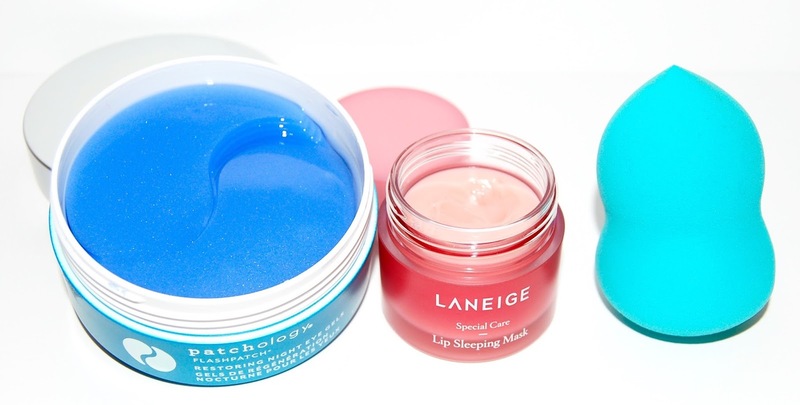 Have you tried any of these sponges? ?